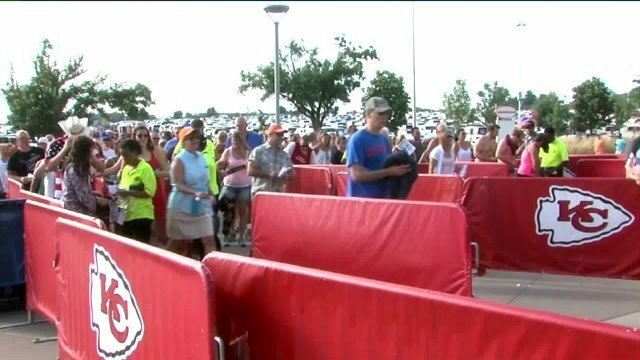 New transportation option to and from Arrowhead Stadium debuts for Kenny Chesney concert. KANSAS CITY, Mo. — Heading to Saturday’s Kenny Chesney concert at Arrowhead Stadium? Listen up: there is a new way to beat the traffic rush. A new transportation partnership aims to make getting to and from the stadium easier. The company also hopes the plan will be in place right in time for this season’s Chiefs games. It’s called zTrip. Registered transportation providers, cabs and shuttles, will drive around the metro to pick people up and drop them off at Arrowhead for Saturday’s Kenny Chesney concert. The drivers will use an express lane through Gate One, will drop people off at the southeast corner of the stadium, and then pick them up after the show in the same place. When concert-goers leave the stadium, they’ll head right back to the place they got dropped off. George said they’ll find 30 zTrip staff members and a rotating line of hundreds of zTrip drivers ready to take people home on the spot. “All of our guests will get express out of Gate 7 and not wait with any other traffic,” George said. He said you can book through the website, call them on the phone, or download the app. George said riders will know exactly what they’re paying. George said, like any cab ride, the cost will depend on where you’re coming from. He said it averages about $2.10 a mile. He claims, unlike other ride-sharing services, zTrip is accessible. “You actually have somebody you can talk to, find out what it’s going to cost to where you’re going, what are your best options,” George continued.